In my two summer school enrichment classes, students worked on projects each day related to our current discussion. In Creative Writing, we brainstormed topics to write about and discussed being descriptive writers before students had the opportunity to create their own stories. While students were given a topic to write about, I left it open-ended so they could have choice in their writing. In Passport Adventures, students learned facts about a country each day before making a craft related to that country’s culture. 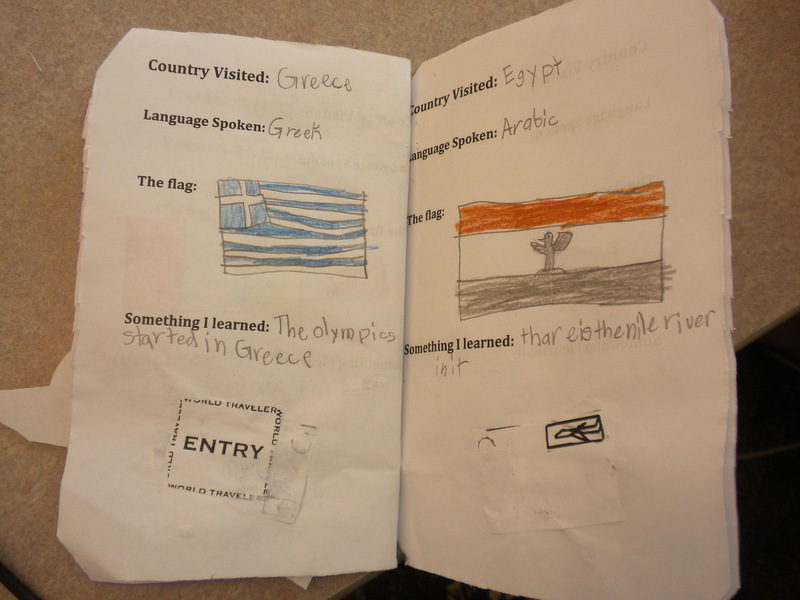 Each day, students also completed a Passport describing where we had visited. Examples of different activities are below. Click the pictures and links to more clearly see the examples. To help the students learn to write a short story, we wrote stories as a class. These were good introductions since the students were beginning writers. 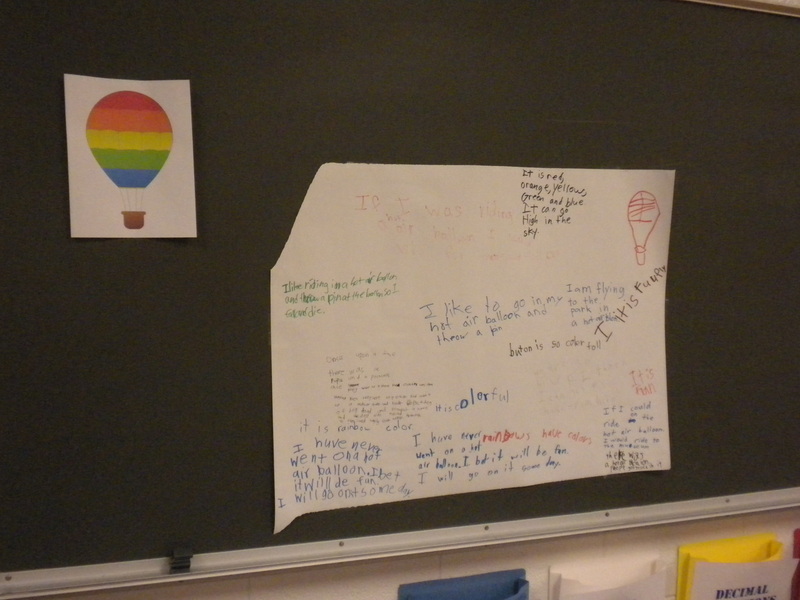 I displayed a picture on the board, and every student needed to say a sentence about what he saw or what he would do. When we finished, we read our class story. Here is an example of a story about a trip to the playground. 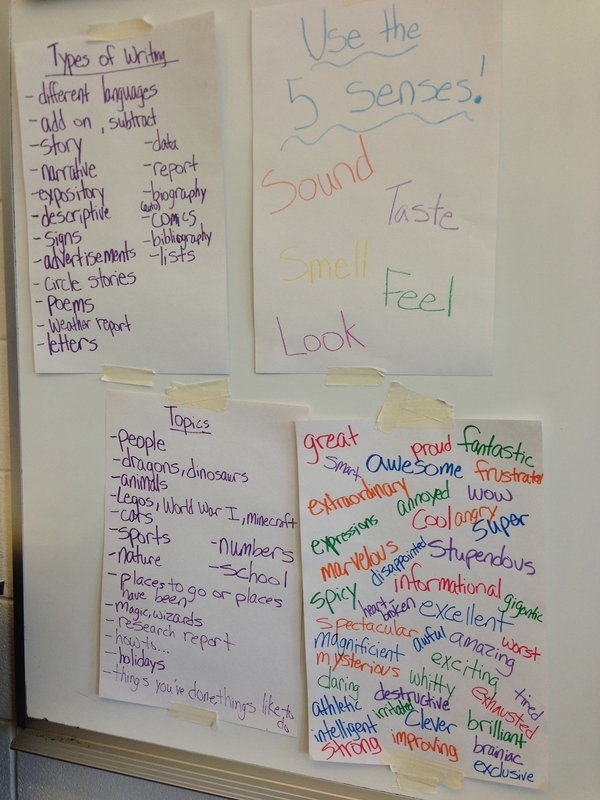 To help the students begin writing, we first brainstormed different forms of writing and topics. After discussing what we could write about, we discussed descriptive writing of using the 5 sentences and “wow” words. As a group, we completed these brainstorming posters. These posters were hung on the board as visual and helpful reminders for the students to refer to as needed. One of the students’ favorite activities was a graffiti walk around the classroom. I displayed pictures and large pieces of paper, and the students had to write a sentence about each picture. After we finished, the students walked around and read others’ ideas. This was a great way to have all the students engaged, participating, and writing! Another favorite activity was writing directions how to decorate a graham cracker. I brought in supplies, and students had to give explicit directions to help me decorate. I typed the directions and displayed them on the projector, so students could write their own. 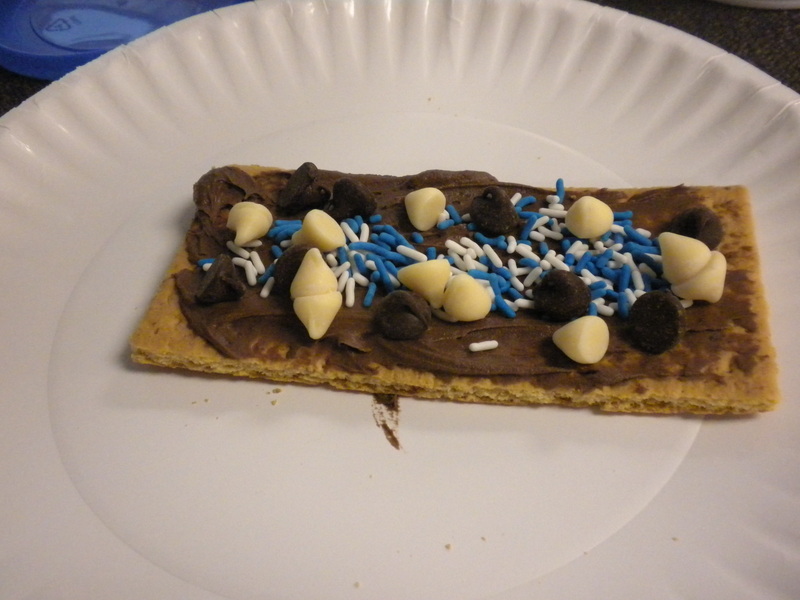 After each student had written the directions, he could then decorate and enjoy his own graham cracker. Not only did the students have fun decorating and eating, but this activity helped teach them why they need to be clear when writing and include many details. As a culminating activity, students wrote and illustrated their own stories on topics of their choice. Students were able to demonstrate their learning by putting together everything we discussed-brainstorming ideas, using detailed word choice, rereading their work, writing final copies-to create their final pieces. 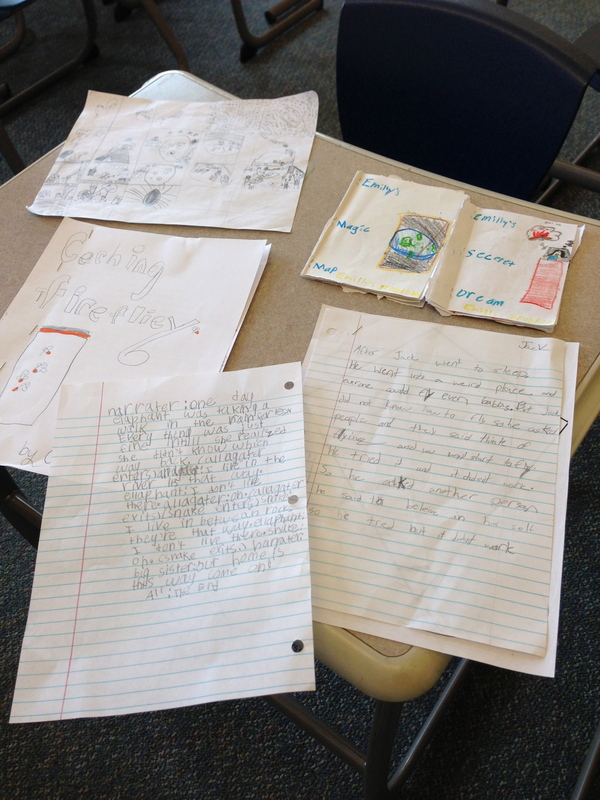 They also had freedom of the type of writing to create; students wrote stories, plays, and graphic novels! Creating their own stories was one of their favorite activities. To make our traveling official and remember key details of each country we visited, students filled out a passport after each adventure. We discussed why we needed to travel with a passport as an introduction. 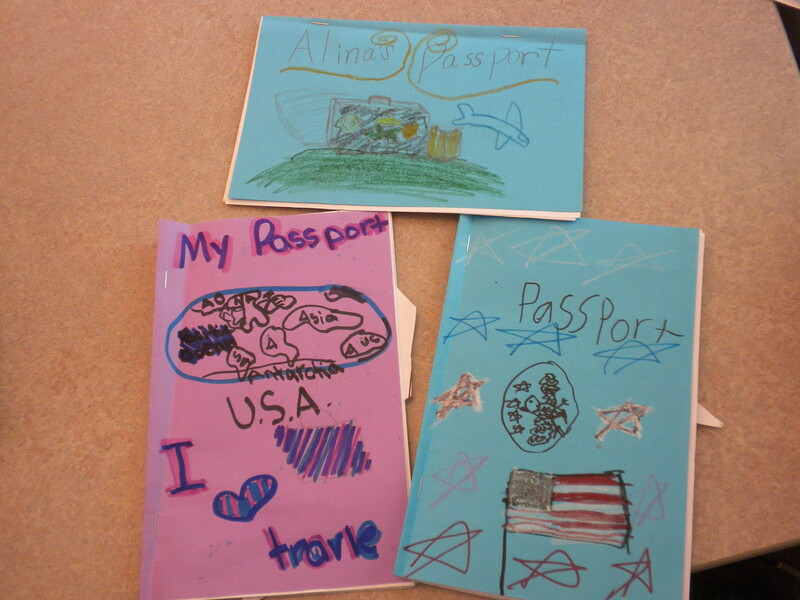 Having a passport was fun for the students, and it helped them remember important information, such as the language spoken, the flag, and a fun fact about each country. Students created a craft related to the culture of each country we visited, and they were very creative! The collage shows some of their favorite crafts (clockwise from top left): making double decker buses while in London, lanterns and snakes to celebrate the Chinese New Year, drawing pictures like Michelangelo in Italy, designing their own Mexican restaurants and menus, and making frogs and rain sticks in Costa Rica. 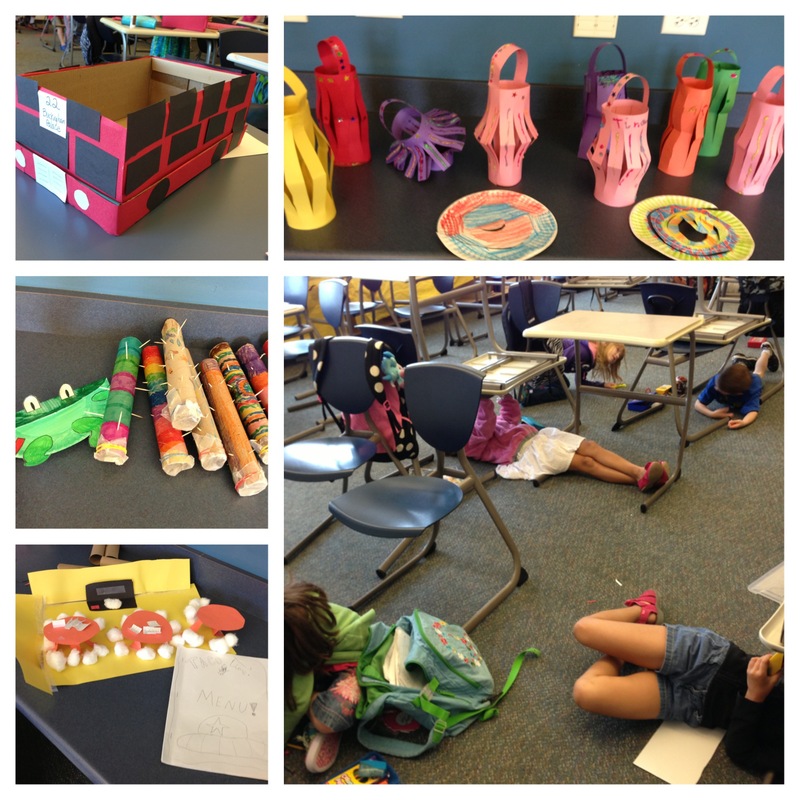 Students enjoyed each activity and sharing their creations with the rest of the class.